Obituary for Catherine (Danylko) Dlugolenski | Glunt Funeral Home and Crematory, Inc.
Catherine Dlugolenski, 92, of McKean, died Monday, December 3, 2018 at St. Vincent Health Center. She was born in Erie on October 27, 1926, the daughter of the late William and Katrina (Schrum) Danylko. 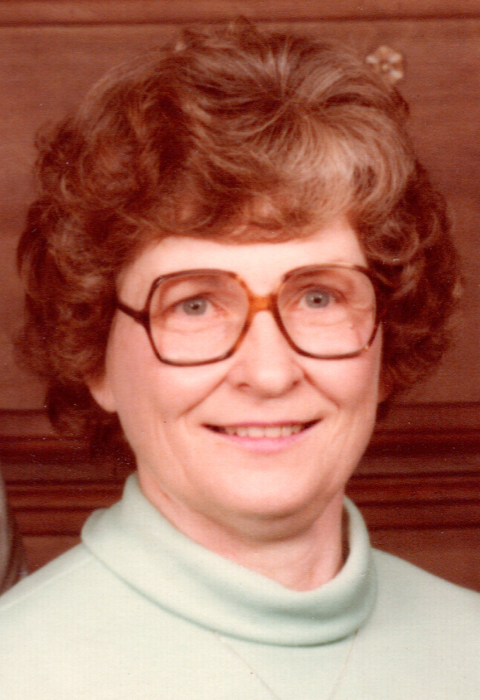 Catherine was known as “Farmer Grandma”. She was an active dairy farmer for most of her life. She loved to garden, work in her flowers, and bake. She was a long time member of St. Francis Xavier Catholic Church in McKean, and devoted many hours there over the years. She was preceded in death by her husband, Edmund, in 1990; a son, Edmund, Jr.; five brothers, Alex, Nick, John, Steve and Frank; five sisters, Caroline, Mary, Helen, Josephine and Mary; and a great granddaughter, Kelsey. Survivors include a daughter, Karen (John) Neubert, of McKean; a son, Carl (Sue) Dlugolenski, of Summit; daughter-in-law, Ella Dlugolenski, of Edinboro; a sister, Jenny Dzeskewicz, of McKean; also six grandchildren, Bridgette (Shawn), Eddie (Shannon), Jennifer (Greg), Amanda (Bill), Joey and Dusty (Teddy); ten great grandchildren, Shawn, Dillon, Brittany (Chad), Alyssa, Haley, Jasmine, Hanna, Grady, Wyatt and Daisy; and three great great grandchildren, Carson, Carina and Chad. Friends may call at the Glunt Funeral Home and Crematory, Inc., 210 Erie Street, Edinboro, on Thursday, December 6, 2018 from 2 to 4 and 7 to 9 p.m. A Mass of Christian Burial will be held Friday at 10:00 a.m. at St. Francis Xavier Catholic Church, 8880 W. Main St., in McKean. Burial will be in St. Francis Xavier Cemetery. Memorials may be made to McKean Hose Company, 5011 School St., McKean, PA 16426, or St. Francis Xavier Catholic Church, P.O. Box 317, McKean, PA 16426. To send condolences please visit www.gluntfuneralhome.com.